And ordered a collection of numbered values. Like values are indexed with numeric values. 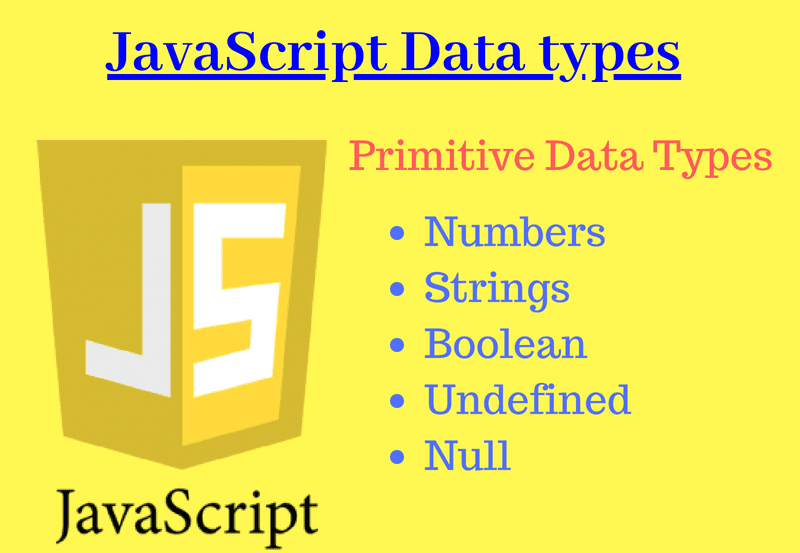 Before working with data types one should know the behavior of Data Types. We assume that you already know the How statement Execute in JS. Here we define x and provide an integer value and again the same variable is provided string value. Now the value of x is string value then the result is “Programming With Basics”. </html>Now we see it didn’t gives error. Result will be 26Programming with basics. The string is a series or collection of Characters. Also, the string can be defined in single quotes. We can use a string with conditions statements for example If, If-Else, and Switch statements. Boolean data types have two values only, either true or false. Here C is at 0 indexes, C++ at index 1 and so on. Objects are key: value pairs, separated by a comma, are written inside curly brackets. A variable without a value, has value undefined. Null means no value. If we want to assign a null value to a variable. typeof operator finds the data type of a variable.